Social media and business can mix wonderfully, however on occasion they are often like oil and water and it can be the joining from hell. Unfortunately, some businesses find using the medium a little more pressing than others and there have been some major social media mistakes that have really shown companies up when they are placed outside of their comfort zones. 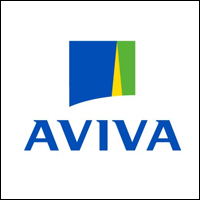 One of the largest insurance firms on the planet, Aviva managed to fire 1,300 of its staff over email and make worldwide news. The company accidentally sent an email to all of the employees in its investment area informing them they were fired. Instead of firing one employee, the company accidentally fired a whole department of employees, all thanks to a clerical error that informed people to turn over the company property when leaving the building. The move raised eyebrows worldwide, not only because of the office error but also as the insurance firm was extremely discourteous in firing someone via email. Encouraging engagement through use of the hashtag on Twitter haunted McDonalds. Instead of consumers talking about the tasty golden fries or succulent burgers, McDonalds became a victim of its own naivety. Some of the posts were far from repeatable and though Ronald and Co did nothing wrong at all, customers will never get the opportunity for an open mic again. Lessons to be learned: If a business is courteous enough to ask you if you have any complaints, don’t morph into a troll, show them the civility they showed you in asking. Of course, McDonalds, with their history, should have known better too. However, it seldom is the consumers fault and one of the prime problems on social media usually boils down to the deletion or non-answering of customer comments by businesses. In short any business that puts up a Facebook page, signs up to an unwritten rule that states they have to retort to queries, complaints or questions from consumers. Deletion of comments is unacceptable as should be seen as creative criticism. It’s only okay to delete racist or profane comments, otherwise take them on board and improve your company. Of course, it is advisable to have a social media policy in a company – there’ll always be one incompetent employee who’ll proclaim innocence after making a mess on social media. Drawing the lines and printing them on paper prevents such issues. However, earlier this year a number of employers began to ask employees and potential interviewed employees for Facebook passwords to their accounts. There are a number of issues here. Firstly, it can be seen as an invasion of privacy and blurs the work and privacy divide. Secondly, many people use the Facebook email as their primary email. By asking employees for their passwords businesses would run into all sorts of difficulties. Having access to private information in a Facebook email would mean being able to access banking, financial and other private material and details. Finally, all the information would have been stored somewhere, leaving it open to breaches and adding to employee responsibility. Social media is now perfect by itself but it seems that adding humans into the mixture really turns it on its head.